Cause of his death was chronic brights disease. Samuel resided at "Grooms" Nayland which he left to his nephew Dr Edward Liveing Fenn. He was a legatee under the will of his aunt Philadelphia Liveing and did not marry. His baptism entry relates "received into the church 5 July 1810"
The Lord Chief Justice Tindal has been pleased to appoint Samuel Alston, of Nayland, in this County, Gent, a Commissioner for taking the Acknowledgements of Deeds by married women. We have a very beautiful representation of the arms of the Alston family, engraved on stained glass burned in with gold which might be framed to hang up in a drawing room, and are willing to dispose of it for Two Guineas. The Crest is a Crescent charged with a Star, and the arms are "Azure, ten stars, for, 3, 2 and 1," and in the antique bearing of Sir Thomas Alston, of Odell in Bedfordshire, temp:17 Charles I (1642). We have no objection to be at the expense of a case to pin it in; securely packed in Wool and pay all charge of registering it by Railway or post as you may please to advise on being favoured with a Post Office order. On small notepaper 9cm x 11cm, in an envelope marked paid, postmarked with a black seal 9cmW x 5cm. Scope and Content Conditional surrender (mortgage; out of court) Orbell George Green of Wivenhoe, brewer and w. Emily to Samuel Alston of Nayland, Suffolk, gent. before Sayers Turner, gent., deputy steward, for L350 Messuage or tenement, now or late in tenure or occupation of John Fisher, copyhold of manor of Wivenhoe, in occupation of Ann Newton wid., and a tenement called The Forge formerly in occupation of Sarah King, now of Jonathan Summers now described as a messuage with bake-office, front shop, oven and outbuildings in full trade in occupation of J.W. Barrett, and adjoining messuage, in trade as beer-house, with cellar, stable, cart shed, slaughter-house and yard in occupation of B. Pitt, in occupation of Joliffe and Barrett. England Return of Owners of Land 1873. Suffolk. Alston Sam. Nayland 7a 3r 15p gross estimated rental value. L75/12s/0. Buried in the Nayland burial ground Bear St Nayland, Samuel's grave is beside E L Fenn in the far west (left) corner of the old section. 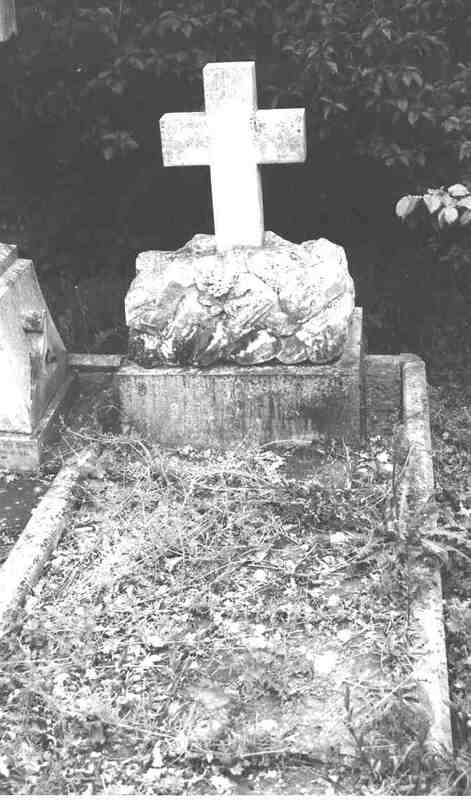 His headstone reads "In memory of Samuel Alston Solicitor died 17th April 1887 aged 77. Eternal rest grant unto him O Lord and light perpetual shine upon him. I Samuel Alston of Nayland in the County of Suffolk Attorney do declare this to be my last will I appoint my nephew EDWARD LIVEING FENN to be the sole Executor thereof. Next I give and devise to the said Edward Liveing Fenn his heirs and assigns all that my freehold messuage wherein I now reside the closes of meadow land fessuages hereditaments and appurtenances ( the copyhold portion is next the Court Meadow Gate where Thorp lives as informed by my late father George Alston) with all other real estate. Also all estates vested in me upon any trust or by way of mortgage subject to and upon the equities and trusts etc asserting the same. As to my residence and premises subject to my sisters residing there so long as she may think proper rent free. Thomas H Thorpe, James R Thorpe. Probate granted the estate for L31,603. 27 May 1887. Copy of Will and Probate as follows in possession of E L Fenn 1999. The Will (dated Sept 3 1884) of Mr Samuel Alston, late of Nayland, Suffolk, solicitor, who died on April 17 last, was proved on the 27th ult. by Edward Liveing Fenn, the nephew, the sole executor, the value of the personal estate amounting to over L31,000. Ref Newcastle Courant Friday June 17 1887. Frances Brennan writes 2012 to advise Samuel's cause of death. 3. Census: England, 30 Mar 1851, Town St Nayland Suffolk. Samuel Alston is described as a son unmarried, an attorney, aged 41, born Nayland. 6. Census: England, 3 Apr 1881, 9 Court St Nayland SFK. Samuel was living at 9 Court Street (Grooms), he is described as the head of the family, unmarried, aged 61, Solicitor, born in Nayland. Mary Sandy, servant, aged 18. Caroline Farthing, servant, aged 16.